Call for Host Applications for 2019/2020 Learning Partnerships!!!!! "This fellowship was a transformational experience for us! In this era of exploding knowledge, understanding and implementing strategies for knowledge management is essential for all kinds of organizations." "Wonderful program. There are not enough such immersion opportunities for librarians." The purpose of the Learning Partnerships is to place experienced librarians and information professionals within leading health care or research organizations in order for both partners to gain a better understanding of how best information sciences can be effectively applied in each environment. The Fund believes that this experience will facilitate a bridging of cultures resulting in a more creative and effective application of information science in the health care arena. 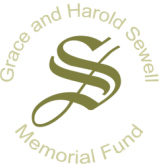 The Sewell Fund support covers salary and incidental expenses for these twelve-month Learning Partnership fellowships. It's our pleasure to announce the application period for health sciences organizations interested in receiving financial support to host a Sewell Fund Learning Partnership starting in 2019. The Sewell Fund Learning Partnership program has been designed to provide funding for a medical or health care librarian or information scientist to spend approximately a year in the environment of a host organization. Host organizations will present a learning environment, a series of activities, and access to organizational leaders which will allow the librarian or information scientist to more fully understand the nature of the organization's work, its decision-making processes, the clients served and the health care issues addressed. The selected applicants will participate in team settings designed to utilize the librarian's skills and knowledge in non-traditional ways. Immersion is the goal and expanded knowledge the anticipated result for both partners. As they come to identify with the host clients in a work setting, librarians will broaden their perceptions and deepen their understanding of the clients' goals, thinking, knowledge base and methodology. Client hosts will receive assistance from a skilled librarian capable of helping in both non-traditional and traditional library activities. The host will also gain insight into information management techniques and librarian capabilities. The partnership will also inform the librarian partner about health sciences topics and current research methodology or practice protocols. Both partners will learn how their skills and knowledge can be more effectively integrated to increase the quality of research or health care. Your organization must be involved in health sciences service delivery, research or product development and can be a nonprofit organization, a public agency, or a private sector company. Have a project and a team of employees responsible for outcomes that would benefit from the wide range of skills of an experienced mid-career health sciences librarian or information scientist (the Sewell Fund Fellow). An environment which would allow the Sewell Fund Fellow to be immersed in your organization's work, learn from your leaders more about the health sciences issues of importance to your organization, and allow the Fellow to contribute in a substantive way to the success of your organization. Organizations that do not currently have a library or librarian(s) are especially encouraged to apply. In return for hosting a Sewell Fund Fellowship, your organization will receive a grant ($70,000) to cover the salary and health benefits of the Fellow and operational expenses, such as provision of a computer, attendance at conferences and other educational opportunities. Host Organization Letters of Intent are due March 15, 2019. Host Organization applications are due April 15, 2019. If you are a health sciences librarian or information specialist who is interested in being considered for selection as a Sewell Fund Fellow, information will be available here in June. To read about past Learning Partnerships, click here. To keep up to date on our Learning Partnerships, subscribe to our email list by clicking here! Please submit a non-binding Letter of Intent (LOI) by March 15, 2019. The purpose of the LOI is to help the Sewell Fund gauge the number of potential Learning Partnership applicants and to provide the opportunity for early communication between the Fund and host organizations about potential partnerships. Contact information (name and email address) for Librarian (if known) or Librarian Organization that will assist with recruitment of the Librarian. Brief summary of the planned Learning Partnership. Brief description of how the proposed partnership is in line with the Sewell Fund’s mission. Brief description of how the proposed partnership would benefit the field of library information science. Applications and all attachments must be received no later than April 15, 2019. The Sewell Fund Trustees will fund one Learning Partnership to begin in 2019. Learning Partnership grants will be announced in early June 2019. Funding is for no more than a 12-month period with no ongoing funding implied. Librarians should identify with their clients rather than look at clients’ needs merely intellectually from the library/information services perspective. Librarians should be advocates for end users to the traditional library staff, assisting the latter in identifying with the clients and gaining a “We” rather than a “They” perspective. Librarians should be prepared to improve or extend their services in a variety of ways such as: a) Developing, promoting, and administering programs to satisfy the client’s needs in libraries or information centers, b) as experienced intermediaries, providing improved services directly to the client in any appropriate setting, c) doing research or development on methods of satisfying those needs, e.g. through artificial intelligence in advanced search engines for the client’s use, and d) becoming more comfortable with the familiar specialty could lay excellent groundwork for showing the import of having an information specialist as a member of the client’s team. Hosts, besides gaining from the improved perceptions and services of the librarians, should have gained a better understanding of the many ways the librarian can facilitate their work. Hosts should be better able to formulate queries or analyze problems that require a search for information in their solution. Hosts should better understand how to analyze their own information needs as a first step in satisfying them. They should then be aware of when the next step will be turning to the library and/or a librarian. (2) Davidoff E, Florance V. The informationist: a new health profession? [editorial] Ann Int Med 2000 Jun 20;132(12):996-8. (3) Rankin JA, Grefsheim SF, Canto, CC. The emerging informationist specialty: a systematic review of the literature. J Med Libr Assoc 2008 Jul;96(3):194-206.